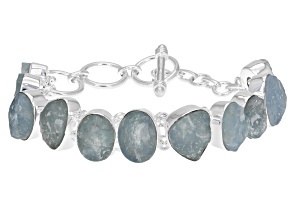 See why the blues aren't always bad with an aquamarine bracelet from JTV. 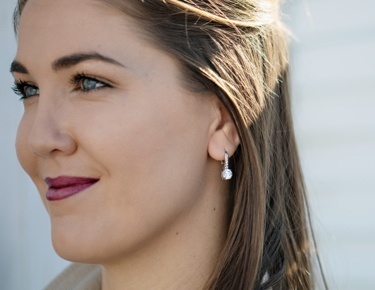 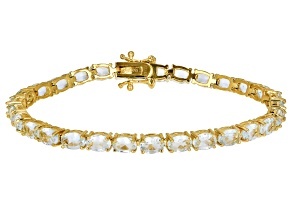 Choose from dozens of affordable and trendy adornments, which are sure to bring a smile to any who wears one. 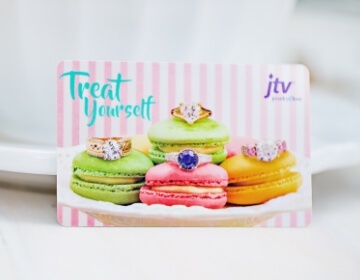 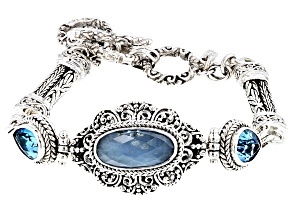 JTV offers dozens of different styles of bracelets to buy online. 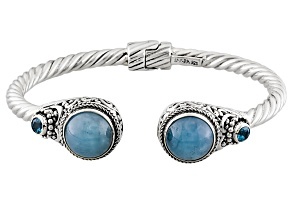 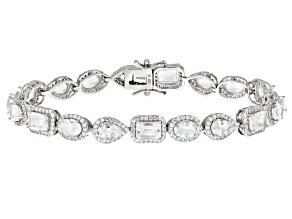 Aquamarine bracelets in any style are great for adding a subtle, crystalline shine to your ensemble. 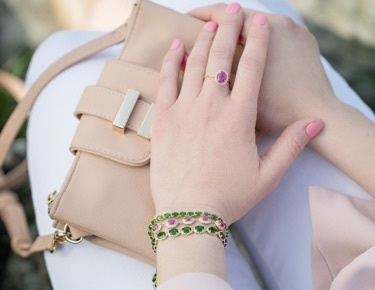 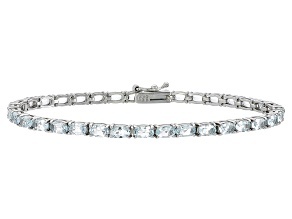 JTV's stylish aquamarine tennis bracelets are especially captivating. 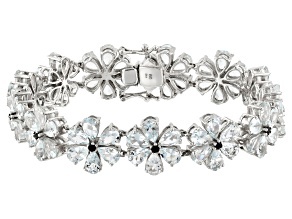 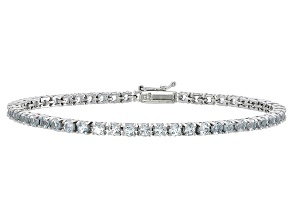 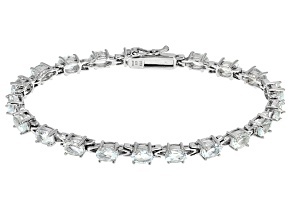 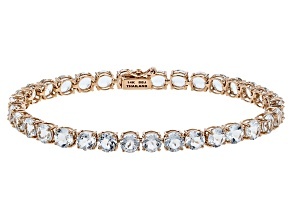 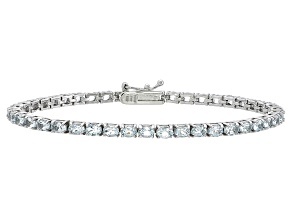 The diaphanous gemstone evokes the same classic shine of similar diamond tennis bracelets at a fraction of the cost. 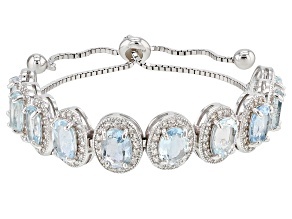 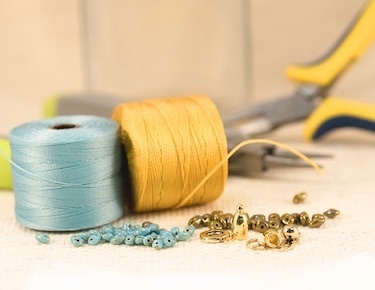 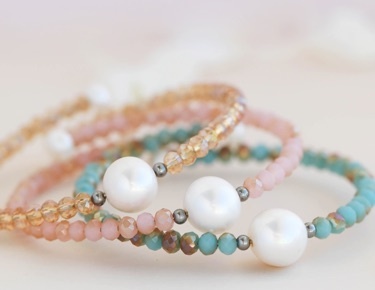 The precious gem is the traditional birthstone of March, making aquamarine bracelets a perfect gift. 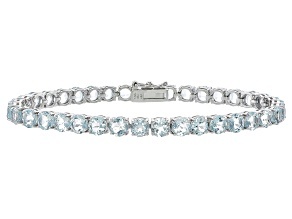 Aquamarine is also the traditional anniversary stone for the 19th year of marriage, but you're likely to be forgiven if you give an aquamarine bracelet as a gift for a different occasion. 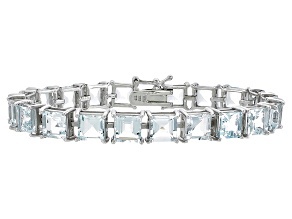 Consider a blue topaz bracelet if you're looking for an even less expensive option that still displays that familiar blue brilliance. 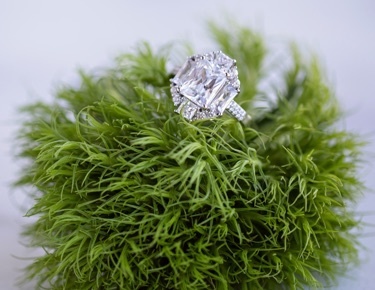 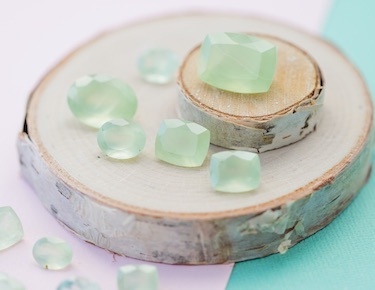 Scientifically speaking, aquamarine is a variety of beryl, making it a cousin to emerald. 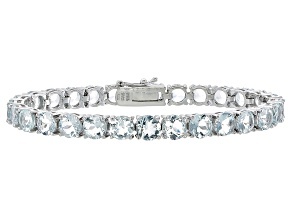 Beryl is naturally colorless. 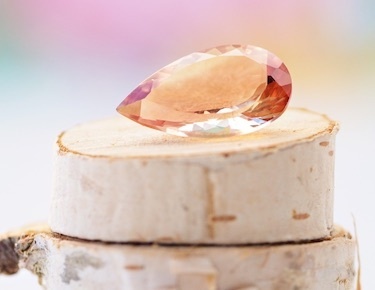 Counterintuitively, when it comes to gems and jewelry, impurities can actually be a good thing, creating different tints and colors in minerals. 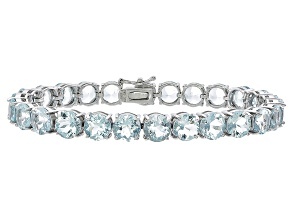 In the case of aquamarine, it gets its cyan profile from the introduction of iron ions. 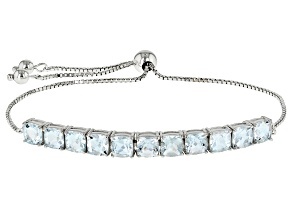 The Dom Pedro aquamarine is the world's biggest cut aquamarine specimen. 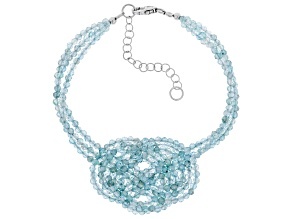 The blue-green gemstone, which is nearly three feet long and weighs approximately 100 pounds, is on display at the Smithsonian Institute's Museum of Natural History in Washington. 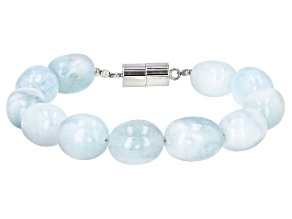 Aquamarine can also be produced synthetically. 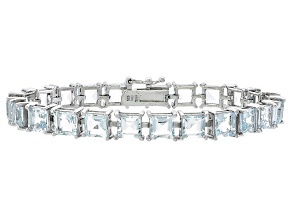 No matter what variety you decide on, JTV is sure to have an aquamarine bracelet to suit your style and budget.